Mark Twain, upon visiting Mauritius, has said: "God first created Mauritius, then only He made Paradise as a copy of Mauritius". Mauritius is a small but very beautiful island found in the Indian Ocean, and is well-known for its very friendly and welcoming population, excellent touristic resort, sugar, tea and textile productions. Its sugar and textile productions range among the first two or three best ones in the world, in spite of its very small territory. The paradise island of Mauritius is well-known for its white sand beaches and crystal-clear blue lagoons, its luxurious hotels (ranging amongst the best in the world) and its very friendly and warmly welcoming people. People who have had their holidays once in Mauritius, can never forget this paradise island and return to it as often as possible afterwards. So, you are also welcome to visit this unique island and enjoy your holidays here and combine the latter with specialized health and beauty care that will give you a new look and a new "punch" to resume work and live life once you return back to your country. Health service, both public and private, are developing rapidly and the best medical technologies & services in the fields of beauty care and wellness, such as plastic & reconstructive surgery, aesthetic medicine, aesthetic surgery, and laser medico-aesthetic services are already well established in this small country, thus making it possible to meet the challenges of the third millennium, where rapid industrialization is a constant danger to the health of millions of people. At the same time, Mauritius has become a leading centre for the development of medico-aesthetic laser technologies, and can boast of one of the best medico-aesthetic laser centers in the world, based upon international experience, kown as VIP LASER CLINIC Med Spa where patients come from all over the world to receive treatment. 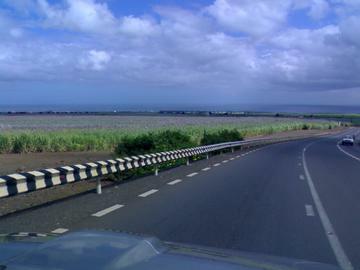 Today, Mauritius has become a model to be copied and learned from for many developing and recently developed countries. For the highly developed ones, Mauritius remains a paradise, non-copiable in itself. The Dodo, a fat and docile bird, unique in the world, and now extinct. Supposedly, the Dutch ate them all when they landed in Mauritius. The Blue Stamps of Mauritius, also unique in the world and each one of them costing a whole treasure. 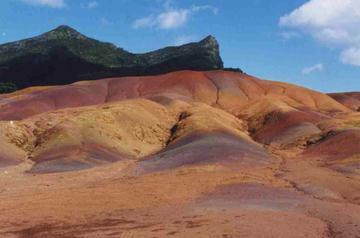 The seven-coloured earth at Chamarel. 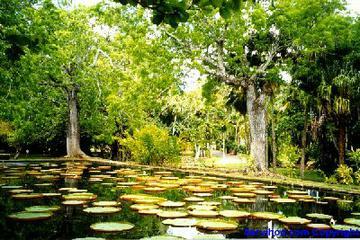 The Pamplemousses Botanical Garden of Mauritius, one of the three best botanical gardens in the world. 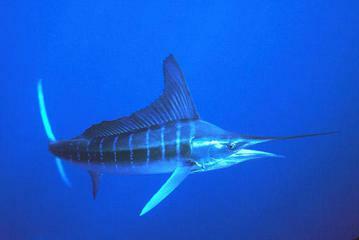 Mauritius is also famous for big fish games, like the Blue Marlin. Its blue lagoons and white sand beaches are considered among the cleanest and loveliest in the whole world. Mauritius is now amongst the first in the group of recently developed countries due to its intensive industrial and technological development, especially in the fields of textile products and information technology. Mauritius is a preferred high-class golf destination today. 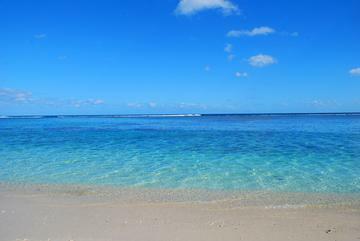 « Jetsetter » classifies Mauritius among the 10 most beautiful islands in the world. www.jetsetter.com, an american web site for flash sales for high class travels, classifies Mauritius at the third place in its classification of the 10 best exotic islands in the world. Talking about Mauritius, « Jetsetter » writes : "White beaches, turquoise blue sea, the island of Mauritius is found on the African coast in the Indian Ocean. The island is unique due to its misture of cultures. The island is also known for the Dodo."